MASON CITY - Shirley A. Nasheim, 85, of Mason City passed away Thursday, November 1, 2018 at the Muse Norris Hospice Inpatient Unit in Mason City. A memorial service will be held 10:30 A.M., Saturday, November 10th at Our Saviour's Lutheran Church in Mason City with Rev. Matthew Muters officiating. Inurnment will be at Memorial Park Cemetery. A memorial visitation will be held from 4 to 6 P.M., Friday at Major Erickson Funeral Home, 111 N. Pennsylvania Ave., in Mason City and will resume one hour prior to services at the church. Shirley was born to George F. and Anna S. (Silber) Schuster on September 4, 1933 in Superior, WI. She lived in Superior for six years. Upon the death of her father in 1939, her mother and siblings moved to Hawthorne, WI where her mother owned a country home. She attended the Hawthorne school from 1st grade through 10th grade. She went on to graduate from Northwestern High School in Maple, WI in 1951. Shirley moved to Arlington, VA to live with her other sister and began secretarial school work at the Pentagon for the Army board of corrections of military records. She met her husband, Robert W. Nasheim Jr. of Mason City, IA, who was stationed in the U.S.A.F. at Fort Myers, VA. They were married on December 7, 1951. Shirley, Bob Jr. and son Bob III moved to Mason City in 1953. She was blessed with son Ronald in 1959. Through the years she worked as a legal secretary, accounting assistant and for the next 30 years, worked as an insurance service and sales rep. 22 years at Romey/Fischbeck Insurance later Fischbeck/Price Insurance. During those years, she was a C.P.I.W. designation (Certified Professional Insurance Woman). She was an asset to the Insurance Women of Cerro Gordo County Organization and a member of the Women's Division of the Mason City Chamber of Commerce. Shirley was an active member of Our Saviour's Lutheran Church, having taught Sunday school for many years, serving on committees and the Altar Guild and introduced the “Salad Luncheon” to the annual Bazaar in 1996. She did visitations to the hospital, assisted living, nursing homes and shut-ins for many years. Those who knew Shirley have enjoyed excellent cooking, surpassed only by her generosity making visits and giving gifts to friends and parishioners in hospitals and nursing homes. You were lucky indeed had you been treated to her special fudge nut bars. Shirley is survived by two sons, Bob of Montana and Ronald of Mason City; five grandchildren, Robert IV (Julie) of Montana, Michael (Heather) of Montana, Timothy (Michelle) of North Dakota, Wade of Iowa and Nicholas of Mason City; six great grandchildren; a sister, Florence of Virginia; a brother, George of Wisconsin; many special nephews and nieces; and special friend, Margie Deseth. MASON CITY – Raymond F. Boehlje, 76, of Mason City passed away Friday, November 2, 2018 at Mercy Medical Center – North Iowa in Mason City. A memorial service will be held 10:30 A.M., Friday, November 9th at First Covenant Church in Mason City with Rev. Steve Johnson officiating. Inurnment will be at Hillside Cemetery in Sheffield. A memorial visitation will be held from 5 to 7 P.M., Thursday at Major Erickson Funeral Home and Crematory, 111 N. Pennsylvania Ave., in Mason City and will resume one hour prior to services at the church. Memorials may be directed to the Raymond Boehlje Memorial Fund. Raymond Fred Boehlje, the son of Ernest and Erna (Koester) Boehlje, was born March 6, 1942 in Rockwell. He attended country school in Cerro Gordo County until the fourth grade and graduated from Rockwell-Swaledale High School in 1960. Ray continued his education at Mason City Junior College, Iowa State University and the University of North Iowa, finishing his degree at NIACC. After college, he moved to Minneapolis, MN and worked at a paint store. He then returned to Iowa joining the Iowa National Guard and began farming with his father. On August 10, 1968 he married Darlene Johnson from Swea City, IA. They lived on the family farm east of Rockwell where they farmed and raised their family. Besides farming, Ray also owned and operated Ray's Hardware Store in Rockwell and worked at the local bank. In 1999, Ray and Darlene retired and moved into Mason City. He enjoyed his family, photography, golfing, gardening, camping and traveling throughout the U.S. and Europe. He was a member of First Covenant Church and served on many teams. He also belonged to the Rockwell Lions Club and Farm Bureau. Ray is survived by his wife, Darlene, of Mason City; his son, Daniel (Cory) Boehlje of North Bend, WA; four grandchildren, Lea, Mark, Emma and Bryn Boehlje; a sister, Nettiemae (Gene) Sisson of Fort Wayne, IN; a sister-in-law, Roberta Boehlje Eno of Sheffield; and several nieces and nephews. 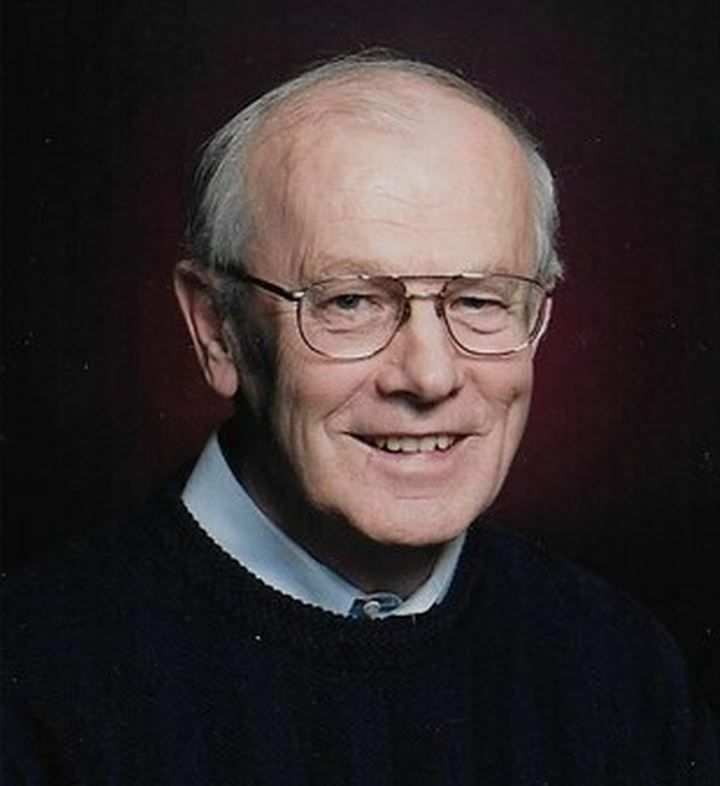 MASON CITY - Clifford L. Schuldt, 86, of Mason City passed away Sunday, November 4, 2018 at Seasons Hospice in Rochester, MN. Funeral services will be held 10 A.M., Monday, November 12th at Grace Evangelical Free Church in Mason City with Rev. Nick Daugherty officiating. Burial will be at Elmwood – St. Joseph Cemetery. Visitation will be held from 2 to 4 P.M., Sunday at Major Erickson Funeral Home, 111 N. Pennsylvania Ave., Mason City and will resume one hour prior to services at the church. Memorials may be directed to the Clifford Schuldt Memorial Fund. Clifford Lawrence Schuldt, the son of Fred and Rose (Marineau) Schuldt, was born May 28, 1932 at Brunsville, Iowa. He graduated from Central High School in Sioux City in 1950. On March 13, 1961 he married Thelma George in Laverne, MN. They lived in Waterloo until 1977, when they moved to Mason City. Cliff worked as an asphalt technician for 29 years for the Iowa Department of Transportation until his retirement in 1994. Following his retirement, they moved to Fond du Lac, WI. In 1996, they returned to Mason City. Cliff enjoyed music and playing his guitar. Serving the Lord was his focus in life. He was a member of Grace Evangelical Free Church and Gideons. Cliff is survived by his daughters, Rhonda Schuldt of Rochester, MN and Shelley Richardson of Tucson, AZ; son, Steve Schuldt of Wasilla, AK; many foster children including Betty Sadler and Tim, Mark and David Walker; seven grandchildren; his brother, Richard (Carol) Schuldt; and other family and friends. CLEAR LAKE – Larry D. Weakland, 71, of Clear Lake, died Sunday, November 4, 2018, at Muse-Norris Hospice Inpatient Unit in Mason City. A Celebration of Life will be 11:00 a.m. Thursday, November 8, 2018, at Harvest Bible Chapel, 2200 N. 24th St., Clear Lake, with Pastor John Tank officiating. Visitation will be from 5:00-7:00 p.m. Wednesday, November 7, 2018, at Ward-Van Slyke Colonial Chapel, 101 N. 4th St., Clear Lake. Family suggests memorial contributions to Relay for Life of Cerro Gordo County or to Harvest Bible Chapel in Clear Lake. Larry was born June 2, 1947, the son of Art and Gladys (Alley) Weaklend in Osceola, IA. He married Rebecca “Becky” McKnight on December 15, 1968, at the First Christian Church in Osceola, IA. A graduate of Clarke Community High School, Class of 1965, Larry continued his education at A.I.B. College of Business in Des Moines before enlisting into the United States Army in 1966. While serving as a paratrooper in the 101st Airborne Division in the Vietnam War, he earned the Army Medal of Commendation and Bronze Star. After being honorably discharged, he graduated from Marshalltown Junior College in 1972 and Iowa State University in 1974. During school, Larry worked for Nelson Electric in Ames. After graduation, he worked for Dewey Electric in Ventura as an estimator and later was a manager for ESCCO in Clear Lake. From 1984-2011, he and his wife owned and operated Electrical Construction Inc. of Iowa (E.C.I.). He had his master electrical license in 26 states and handled electrical contracting all over the United States in the pipeline industry. Larry was one of the original founders of Harvest Bible Chapel in Clear Lake, and numerous electrical and construction organizations through the years. He enjoyed flying and had his pilot's license 21 years and liked to restore Triumph sports cars as a hobby. He especially liked sharing his faith with others. Larry's greatest joy was spending time and sharing prior experiences with his grandchildren. Larry is survived by his wife, Becky Weakland of Clear Lake; two children, Curtis (Amanda) Weakland of Ankeny and Cynthia (Justin) Patterson of Ankeny; three grandchildren, Taylor Patterson, Jordan Patterson and Megan Weakland; two brothers, Gary (Vickie) Weaklend of Boone, IA and Dennis Weaklend of West Des Moines; a sister, Irma Watkins of Osceola, IA; a brother-in-law, Jerry (Lola) McKnight of Norwalk, IA; and many nieces, nephews, and special friends all over the country. He was preceded in death by his parents; a sister-in-law, Doris Weaklend; and a brother-in-law, Bill Watkins. 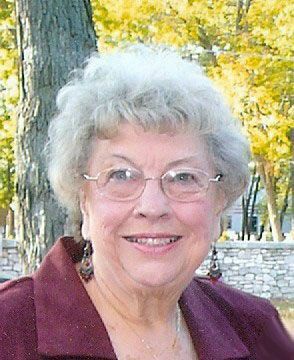 THORNTON - Karen Duff, 78, formerly of Thornton, passed away Monday, November 5, 2018, at Good Shepherd Care Center in Mason City. Funeral services will be held 2:00 p.m., Thursday, at First United Methodist Church, Thornton with Pastor Deb Devine presiding. Interment will be at Pleasant View Cemetery, Thornton. Visitation will be 5:00 – 7:00 p.m., Wednesday, at Retz Funeral Home 107 N 2nd St, Thornton. On July 12, 1958 Karen us united in marriage with James Duff. They made their home in Thornton where she raised her family. A hard worker, Karen worked at various jobs and devoted herself to her family and her church where she was active in the United Methodist Women. She never missed her children's sporting events and loved when her grandchildren stayed with her. Left to cherish her memory are her children: Rhonda (Pat) Prelip; Debra (Steve) Hill; Robert (Michelle) Duff; Ronald (Krista) Duff; 11 Grandchildren; 13 Great-Grandchildren, nieces and nephews. CLARION, IOWA - Bill L. Post, 88, of Clarion, passed away Tuesday, November 6, 2018 at the Clarion Wellness and Rehabilitation Center in Clarion. Memorial services for Bill Post will be held on Friday, November 9, 2018 at 2:30 PM at Ewing Funeral Home, 1801 Central Avenue East in Clarion, with Pastor Bill Kem officiating. Burial will be held at Evergreen Cemetery in Clarion. Visitation will be held from 1:00 PM until 2:30 PM on Friday at the funeral home prior to the memorial service. A Funeral Mass will be held at 10:30 AM on Friday, November 9, 2018 at St. Joseph Catholic Church, Wesley. Visitation will be held from 4 to 7 PM with a Rosary beginning at 4 PM and a Prayer Service beginning at 7 PM on Thursday, November 8, 2018 at St. Joseph Catholic Church, Wesley. Burial will be held at St. Joseph Catholic Cemetery, Wesley. He married Karen (Michelson) Hanig from Klemme on November 23, 1960 at St. Joseph Catholic Church in Wesley. He farmed by St. Benedict and worked in Algona and in Forest City. He worked for Corwith-Wesley School as a bus driver and janitor from 1973 to 2004. William enjoyed his family and friends. He also enjoyed farming, gardening, and the computer. He also loved woodworking and driving semi for farmers. . He also enjoyed golfing, and teasing friends. He loved his grandchildren and great-grandchildren and enjoyed playing cards and games with them. He is survived by his wife, Karen; five children, Doug Hanig and his children, Josh (Janice) and Jon, Sheila Bollinger and her children, Conner and Zach, Julie (Mark) Fischels and their children, Madison, Matt, and Malorie, Patti (Dale) Kiley and their children, Nick, Nate, and Becki (Jake) Donaghy, and Dan Hanig; great-grandchildren, Olivia and Jessi Hanig, Jared and Jodi Hanig, Addie O'brien Bollinger, Oliver and Lilly Donaghy; sister, Mary (Albert) Becker. Pat Decklever, 84, of Cheyenne passed away November 2 at Davis Hospice Center surrounded by her family. Pat was born October 31, 1934 in Chickasaw County, Iowa. Throughout her youth she worked alongside her dad assisting with many field chores and that is likely when she started singing. She had a beautiful voice and sang in Glee Club and the Mixed Chorus throughout her high school years. She sang with joy and kept the love of music throughout her life. As an adult she spent her years working in the medical field in hospitals or doctor offices. Her artistic abilities weren't limited to singing as she also enjoyed floral decorating and had her own business and received many awards from Home Interiors when Pat and Mel lived in Colorado. Pat spent many hours alongside Mel when they traveled and volunteered for “Laborers for Christ”. Pat valued the special times that her children and their extended families would gather and be together. Pat and Mel Decklever were married on June 18, 1967 in Osage, Iowa. She is survived by her husband, Melvin; son, Jim Decklever (Toni); daughters, Vickie Alumbaugh (Jeff), Debbie Russell (Rob), Kellie Erickson, Joni Amos and Laurie Allen; 13 grandchildren and 30 great-grandchildren. She was preceded in death by a son, Curtis; her parents, Walter and Josephine Goddard; and sisters, Phoebe Lacour and Irene Gauger. A service will be at 3:00 p.m. on November 7, 2018 at Our Savior Lutheran Church, Cheyenne. Memorials may be made to Our Savior Lutheran Church Building Fund, 5101 Dell Range Blvd., Cheyenne, WY 82009. Arrangements are under the care of Wiederspahn Radomsky Chapel of the Chimes and condolences may be left at www.wrcfuneral.com. BRITT, IOWA - Douglas R. Thompson, 66, of Britt passed away Thursday, November 1, 2018 at Westview Care Center in Britt. Memorial service will be held at 12:00 PM on Saturday, November 10, 2018 at Ewing Funeral Home, 178 Center Street West in Britt, with Pastor Willie Rosin officiating. Visitation will be held from 10:00 – 12:00 PM prior to memorial service on Saturday at the funeral home. BELMOND, IA - Catherine S. Chapman, 97, of Belmond, IA, died, October 2, 2018, at her home in Belmond. Funeral mass will be 10:30 AM, Friday, November 9, 2018, at St. Francis Xavier Catholic Church, Belmond, IA. Father Jerry Blake will be officiating. Burial will be in the St. Francis Catholic Cemetery, Belmond. Friends may call one hour prior to the services at church Friday. Andrews Funeral Home, Belmond, IA. For the past 18 months, he has been a resident of Country Meadow Place, Mason City Iowa. He battled a furious fight with Lewy Body Dementia for the past three years. A funeral service for Ronnie Tjaden will be held at 10:30 a.m. Friday, November 9, 2018 at Grace United Methodist Church in Floyd with Pastor Wendy Johannesen officiating. Burial will be at Oakwood Cemetery in Floyd. Visitation will be at Hauser Funeral Home from 5:00 to 7:00 p.m. Thursday, November 8, 2018 and continue one hour prior to the service on Friday at the church. Ronnie was born September 3, 1936 in Charles City to Siefka and Elizabeth (Grassman) Tjaden. He graduated from Charles City in the class of 1956. He then entered The United States Navy from ‘56-‘60 stationed in Rhode Island and touring the Mediterranean while enlisted. He served as a radioman on the USS Yellowstone AD-27. He married the love of his life, Jan Tack Tjaden on February 27, 1966 at the Grace United Methodist Church. To this union was the second love of his life, Renee' Lee. He could tell everyone the beloved story of the day they got her, just like it happened yesterday. They have been residents of Floyd their entire 52 years of marriage. Ronnie was a member of the Floyd Grace United Methodist Church, of which he was custodian and faithful servant for many years. He enjoyed traveling with his wife Jan to their Navy reunions and loved keeping up with relationships built with his fellow serviceman. Ronnie was ever so proud of his time in the Navy and the experiences and places it took him. Rome and all its splendor held special memories for him which he eventually got to share with Jan in 2010. They traveled many places together and took pride that they were able to enjoy their retirement together. He has been a member of the Floyd Lions Club for 45 plus years. Ron is a retired Floyd Fireman, member of the Heritage Club and Class of 56 monthly get togethers. Ronnie worked at White Farm, was a self-employed painter and traveled many places with their ceramic business. He especially loved his custodial position at Lincoln School in Charles City. He always was a dubious and hard worker, for which he became very well known for. These honorable traits were instilled in his daughter and grandchildren. He and Jan ran the lunch stand at Chucks Sale Yard and fed many hungry farmers for 25 years. Ronnie never met a stranger and no matter where he went he always saw someone he knew. His passion ran very deep for the love he had for children, which led to 149,262 pop tabs collected for the Ronald McDonald house. It brought him such joy to do this for those kids. We all know he had the top off your pop can before you could even get a sip out. Ronnie's most favored passion was his love of being a family man. He was a wonderful husband, father and grandfather. He went many places and always was not just watching, but immersing himself in the fun. The grandkids have fond memories of him at water parks, going down the water slides, and roller skating at birthday parties. He was always involved in their games and events never missing any, until was too sick to travel. Ronnie is survived by his loving wife, Jan of Floyd; his favorite daughter (only daughter) Renee' Lee (Scott) Kramer of Garner; grandchildren: Jennifer Kramer (Dean Mahlstedt) of Clear lake, Cody Kramer of St Paul, Minnesota and Tjaden Kramer (Walker Winkleman) of Clear Lake; great-grandson, Jaxson Juel Miller whom he adored; a brother Roy of Clebourne, Texas; sister-in-law, Donna (Al) Ricks of Grinnell, Iowa; sister-in-law Gayle Hoy of Floyd; and many loving nieces and nephews. He is preceded in death by his parents; mother and father-in-law, Galen and Fern Tack of Floyd; brother-in-law, Randy Hoy; sister-in-law Mitzi Tjaden; and three infant siblings. Ronnie had, too many to mention by name, special angels care for him daily at Country Meadow Place, for which we were so blessed with. KANAWHA, IOWA - Deborah Kuhn-Weiss, 62, of Kanawha passed away Monday, November 5, 2018 at Mercy Medical Center – North Iowa in Mason City. Funeral services for Deb Kuhn-Weiss will be Friday, November 9, 2018 at 10:30 AM at Ewing Funeral Home, 118 East Second Street in Kanawha, with Pastor Nicole Woodley officiating. Burial will be held at Amsterdam Township Cemetery in Kanawha. Visitation will be held on Thursday, November 8, 2018 from 5:00 – 7:00 PM at Ewing Funeral Home in Kanawha, and will continue one hour prior to services at the funeral on Friday.